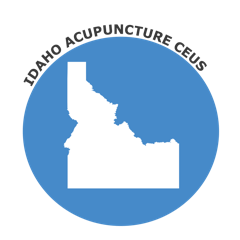 The state of Idaho accepts NCCAOM Approved courses for acupuncture license renewal. Browse Approved NCCAOM PDAs or CEUs. Rule 305 & 306 : All practitioners, for renewal of their license or certificate, shall be required to complete a minimum of fifteen (15) hours of continuing education within the preceding twelve (12) months. Beginning July 1, 2014, a minimum of ten (10) hours of continuing education must be from Category I topics, and a maximum of five (5) hours of continuing education may be from Category II topics, as set forth in Sections 306 and 307 of these rules.